The RF GaN industry is showing an impressive growth with a 23 percent CAGR between 2017 and 2023, driven by telecom and defence applications. By the end of 2017, the total RF GaN market was close to $380 million and 2023 should reach more than $1.3 billion with an evolving industrial landscape. Telecom and defence are looking for innovative technologies and RF GaN-based devices are directly answering to the market demand. Defence remains a major RF GaN market segment, as its specialised high-performance requirements and low price sensitivity offer many opportunities for GaN-based products. In 2017-2018, the defence sector accounts for more than 35 percent of the total GaN RF market, and the global defence market shows no signs of slowing down. “We believe this important GaN market segment will continue growing along with GaN's overall penetration rate,” says Hong Lin, senior technology and market analyst at Yole Développement (Yole), part of Yole Group of Companies. Yole's partner, Knowmade, has recently looked at more than 3,750 patents published worldwide up to October 2018 and produced a report based on its analysis. 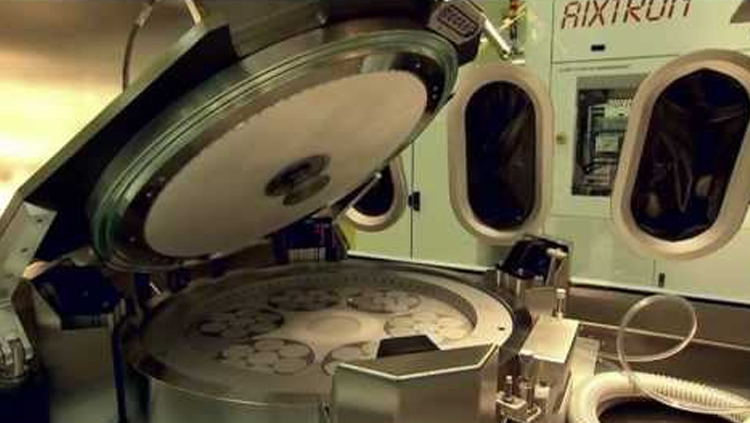 The patents apply to RF GaN epiwafers including GaN-on-SiC and GaN-on-Silicon, RF semiconductor devices, including HEMTs and HBTs , integrated circuits, including RFICs and MMICs , operating methods and packaging, for all functions, such as RF PAs, RF switches and RF filters and from radio frequencies <6GHz to microwaves >6GHz and mm-waves >20GHz. Other companies involved in RF GaN market, such as Qorvo, Raytheon, Northrop Grumman, NXP/Freescale, and Infineon, hold some key patents but do not necessarily have a strong IP position. CETC and Xidian University dominate the Chinese patent landscape with patents on GaN RF technologies targeting microwave and mm-wave applications. And the emerging foundry HiWafer, entered the IP landscape three years ago, is today the most serious Chinese IP challenger. From a device perspective, Cree (Wolfspeed) has also taken the lead in the GaN HEMT IP race for RF applications. “The analysis of Cree's RF GaN patent portfolio shows it can effectively limit patenting activity in the field and control the freedom-to-operate of other firms in most key countries,” explains Baron from Knowmade. A detailed description of the IP report is available on Knowmade's website.